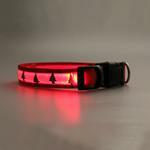 Light up your walks and holiday with the LED Christmas Tree Dog Collar! 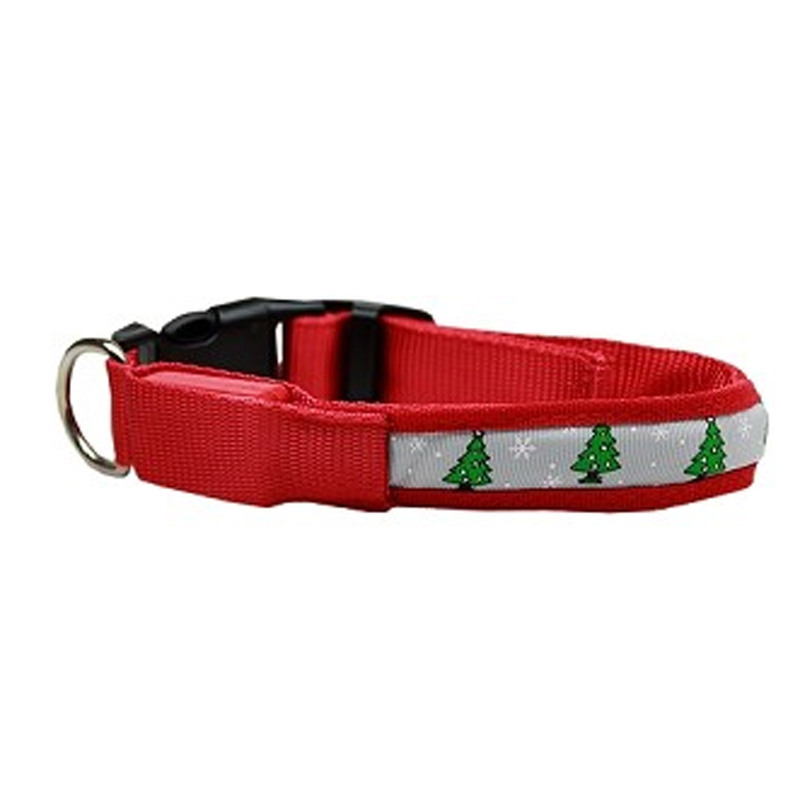 Decorate your Holiday and light up the night with the LED Christmas Tree Dog Collar! Not only is this Christmas dog collar the perfect fashion choice for the holidays, this beautiful collar provides extra visibility for walks in low-light conditions. Change from a solid glow to two different flashing patterns with the touch of a single button. Decorated LED adjustable collar is a great gift for the dog lover in your family. Posted On 01/25/17 by Narelle M from Melbourne, Australia, Yes, Narelle M recommends this product! This is definitely a special occasion collar rather than a tough daily wear collar. It certainly got a lot of comments around Christmas time. Posted On 11/24/16 by Cecelia f from Venice, FL Yes, Cecelia f recommends this product! Nice shirt for Christmas. Very pretty red. Now Emma is ready for Santa. Had to return collar. It was way to big. Posted On 11/16/16 by Cindy Y from , PA Yes, Cindy Y recommends this product! Wore it in Christmas Parade, everyone loved it. Light weight, perfect for my dachshund. Love the collar but it's too wide for my pup she is petite and it seems to over power her. Lights are great! Unfortunately need to return. Posted On 10/19/15 by Sandra G from Central, FL Yes, Sandra G recommends this product! I had to double this collar all the way to fit my little girl. But it is the perfect Christmas collar. Works great - quality merchandise! Baxterboo does not carry anything else but quality! Very pleased with how fast I received my items and was very happy with the quality.